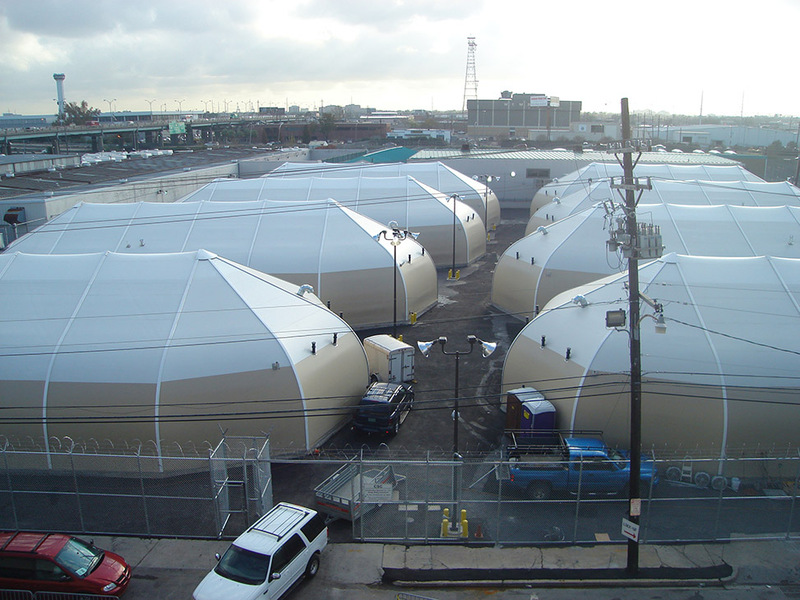 After Hurricane Katrina, the Orleans Parish Sheriff’s Department had to immediately replace the correctional facilities. The new correctional facilities had to match the amenities of their traditional building. 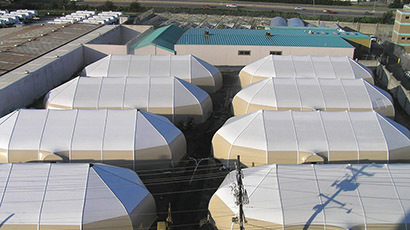 Sprung Structures provided eight 50' x 110' Signature series structures, each housing 100 inmates. 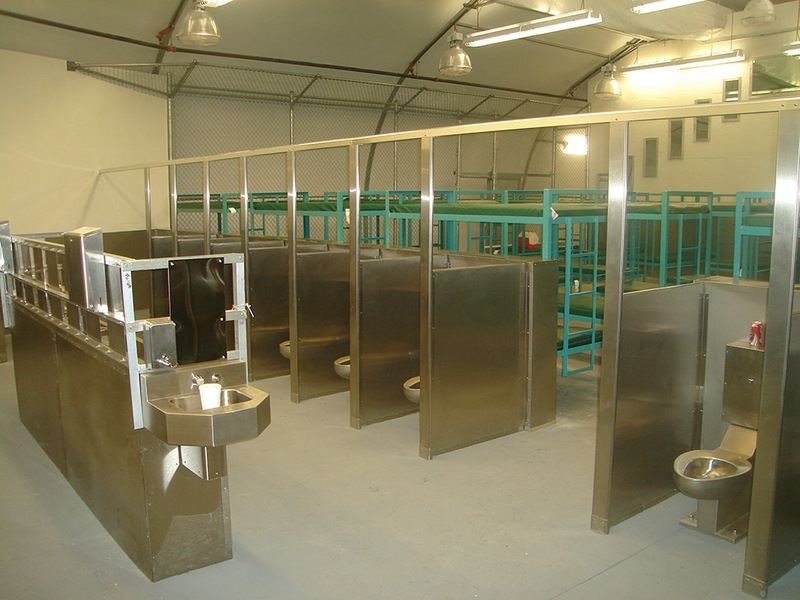 Each structure is fully insulated, climate controlled and equipped with sprinkler systems, toilets, sinks and showers. There was also room for pay phones as well as tables and televisions in the day room area constructed inside each structure. 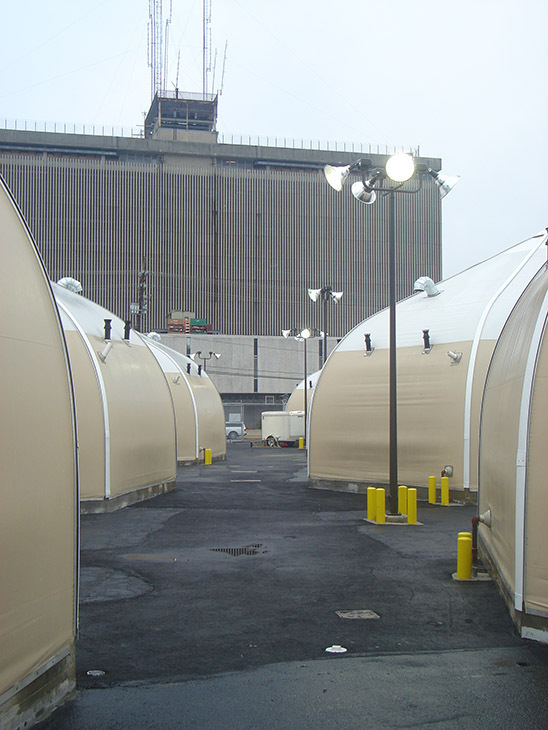 The power generators and HVAC units are all elevated for long-term planning in the event another massive flood strikes the area. The Sprung structures were delivered and completly finished inside and out and ready for occupancy within a few short months. 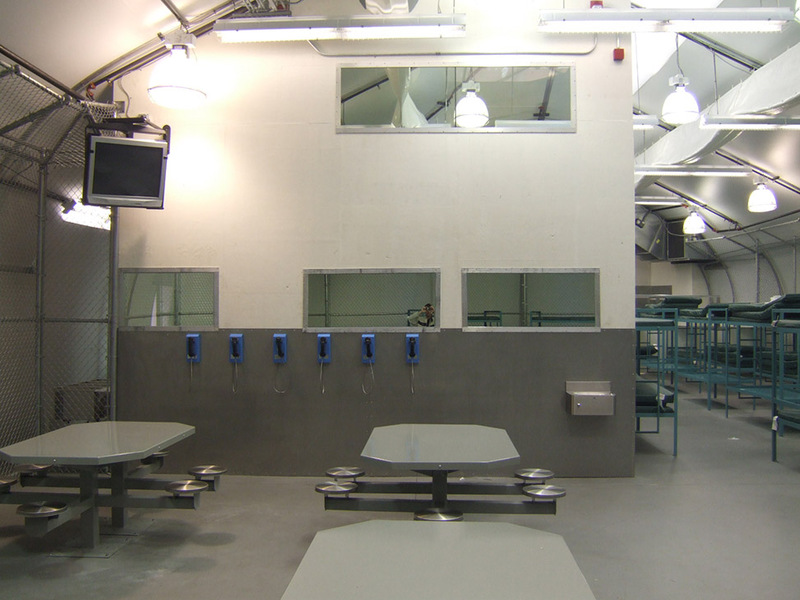 After the devastating consequences of Hurricane Katrina, the Orleans Parish Sheriff’s Department had to immediately replace correctional facilities that could match the amenities of their traditional building. The Parish jail was facing severe security challenges, with no access to courtrooms via tunnels and docks with only six of the thirteen courts operational. 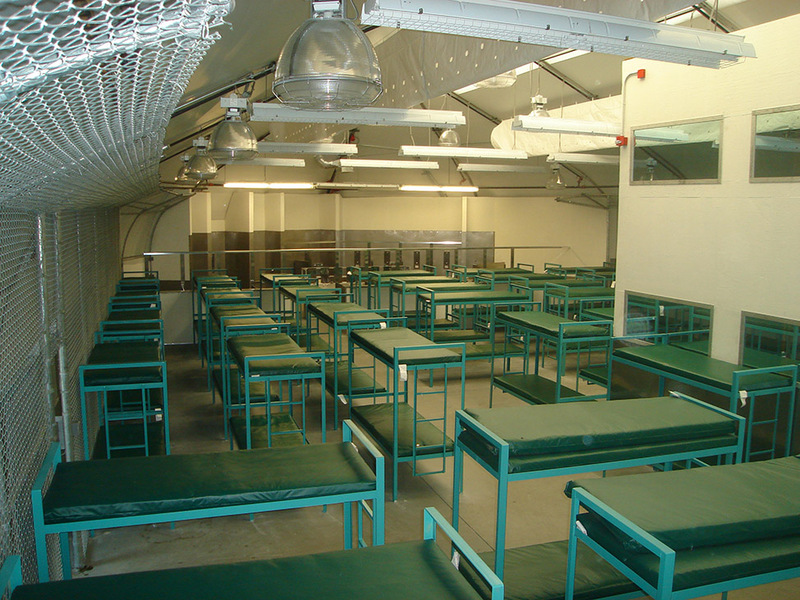 Having lost many bed spaces in their damaged traditional jail, the Department had to ship out over 800 low to medium risk inmates to other existing facilities. 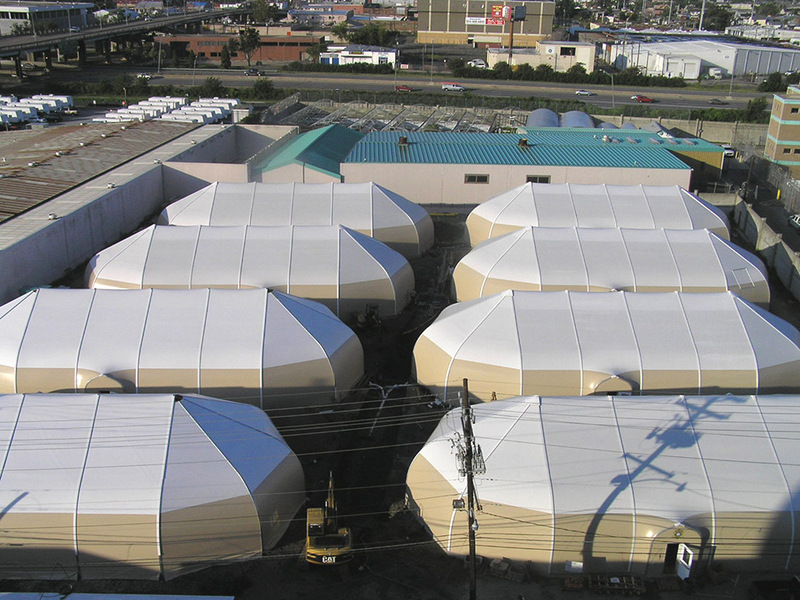 Sprung Instant Structures was called upon and provided eight 50′ x 110′ Signature series structures, each housing 100 inmates. 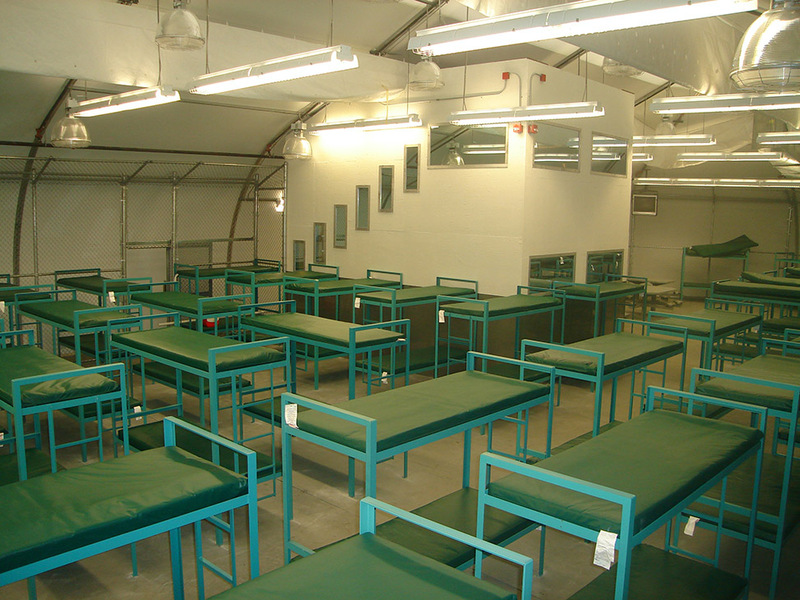 Each structure is fully insulated, climate controlled and equipped with sprinkler systems, toilets, sinks and showers. There was also room for pay phones as well as tables and televisions in the day room area constructed inside each structure. The structures have an unparalleled clear-span interior, accommodating such necessities as guard towers, while simultaneously maintaining the open layout for security purposes. The power generators and HVAC units are all elevated for long-term planning in the event another massive flood strikes the area. The Sprung structures were delivered in May 2006 and were completed finished out and ready for occupancy within a few short months.